Last night’s (Sat., October 6, 2018) UFC 229 is in the books from the T-Mobile Arena in Las Vegas, Nevada. From knockouts to come-from-behind wins, the night lived up to lofty expectations. With so many heart-stopping moments and unexpected fiascos, it’s inevitably going to result in a mix of water cooler talk on Monday morning. 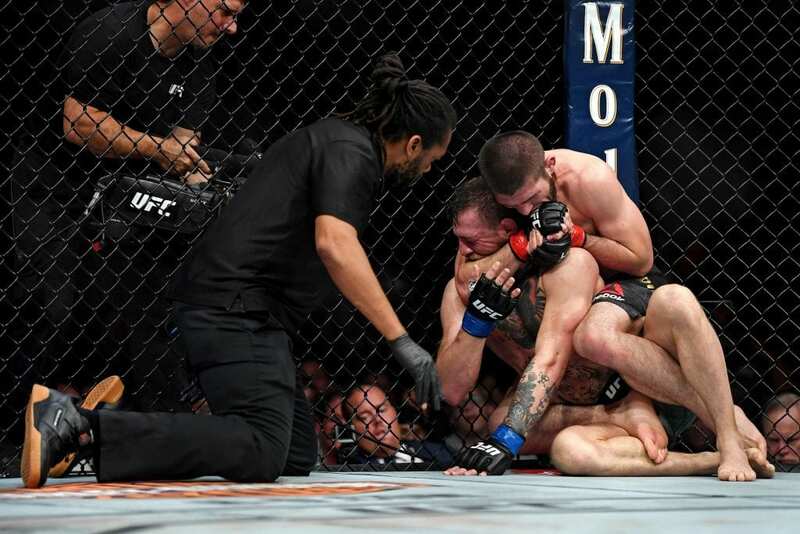 From Conor McGregor tapping out again, to the unbelievable comeback and heart of Derrick Lewis, to the unfortunate brawl after the awaited main event, UFC 229 was just one hell of a night. 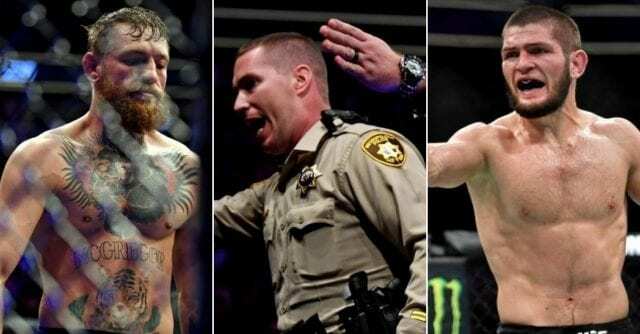 Here are LowkickMMA’s eight biggest takeaways from the absolutely out-of-control UFC 229. By all accounts, UFC 229 was the biggest and most-watched fight card in company history. Yet Khabib Nurmagomedov decided to act a fool. It’s a shame that such a masterful performance will be marred in controversy. But unfortunately that’s the situation with Khabib, and the sport of MMA finds itself in. What was he thinking as he scaled the cage and dove at Dillon Danis? UFC President Dana White was noticeably subdued during the post-fight press conference when he explained that he doesn’t know what the future holds for the unbeaten champion. Several media members asked White if Khabib would be stripped of his lightweight title. White chose his words carefully while addressing Khabib but did reveal that the Nevada State Athletic Commission (NSAC) is going to most likely slam the Dagestani for this actions on Saturday night. Making matters worse for Khabib, Nevada’s governor was in attendance for UFC 229. Per White, the governor went running for his life when the brawl broke out. The governor oversees the athletic commission. That can’t bode well for the Dagestani.